Back to nail polish! Rock Star is another Del Sol color changing polish I got. I really enjoy these polishes. I prefer them over the Claire's Mood color changing ones. The formula is better, the color selection/finishes are better, and they change color in the sun which I think you see more often than putting your hand under hot water! :P The only thing Claire's polishes have over these is the price. Del Sol's are $10, but totally worth it. 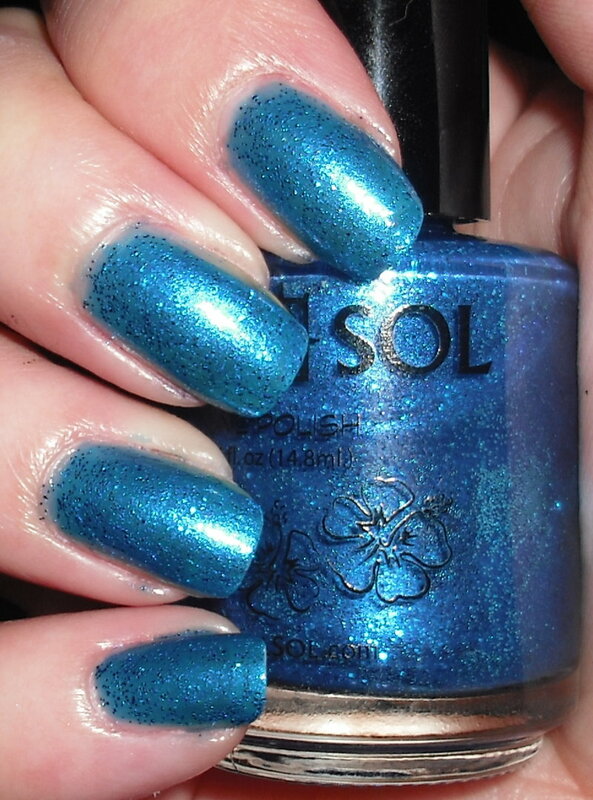 Indoors Rock Star is a bright blue jelly base with blue glitter. This took 4 coats to achieve. The glitter is more sparse than more typical glitters, but it is definitely noticeably and very pretty! Outdoors Rock Star turns into a jeweled toned green-blue it almost looks teal. The base changes color while the glitter remains blue. It's a very pretty combination. I really love this one. 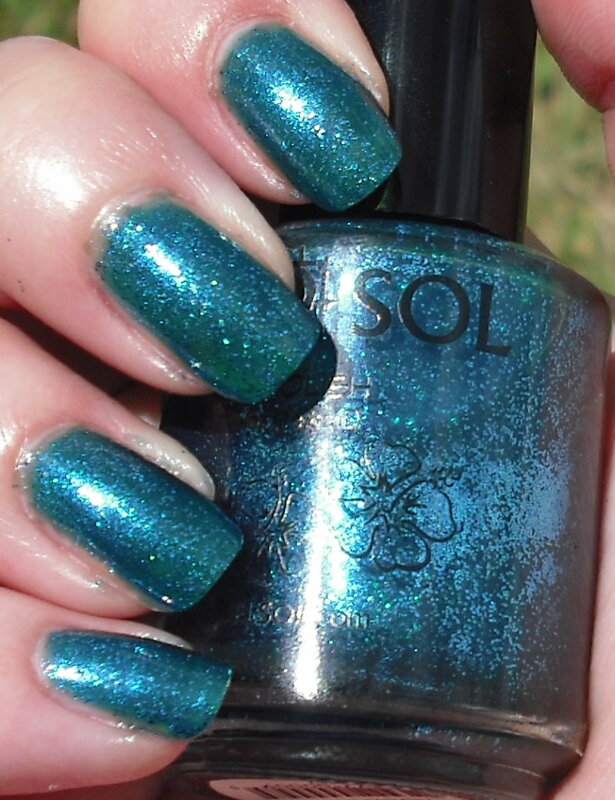 I think it gives you the best of both worlds you get a blue and a green which are both very popular nail polish colors! The formula and wear on these are great and color change effect is instant. I have no complaints from this polish! Excellent color. I love its versatility. Really pretty. I love mood changing polish. Where did you get the del sols? Is this one new? If I had seen this one while I was at a Del Sol store I would have bought it! 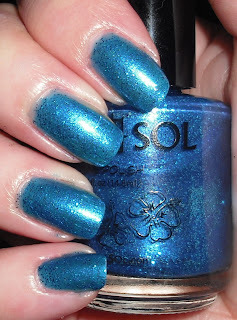 I had "Rock Star" in my hands at Walgreens today... Should've bought it it is STUNNING! So pretty! Mia- Yeah, it's a great trade off blue or green, both great colors! rmcandle- My parents actually got them for me when they were in Alaska. They do sell them at Orlando airpot outside the security area and other tourist towns. You can also purchase them online www.delsol.com. A few people have found them at Walgreens, but I haven't seen any at the Walgreens near me. Pretty- Thanks. I love jewel toned colors too!